A massive 'Thank You' to everyone who came along to support us and collect at Lingfield on Saturday 11th April. What an amazing day it turned out to be after a frighteningly damp start.You will be pleased to hear that a fantastic total of £780, plus a few very odd coins, was raised. It was wonderful to have such fantastic support from all our volunteers and families and it goes to show what we can do as a Group given the opportunity. We are of course very grateful to Tracy, Sue, Claie, Debbie and everyone at the stables including Baloo & Midnight for taking the time out to come and support us with pony rides. They all did a wonderful job. A very big thank you to Trish, Maddy & Sunshine yet again for drawing in such a crowd and for being just so cute & adorable (you too Trish!!). We really do appreciate all you do to ptomote Godstone Group RDA and we are very proud to have you as part of the team at these events. 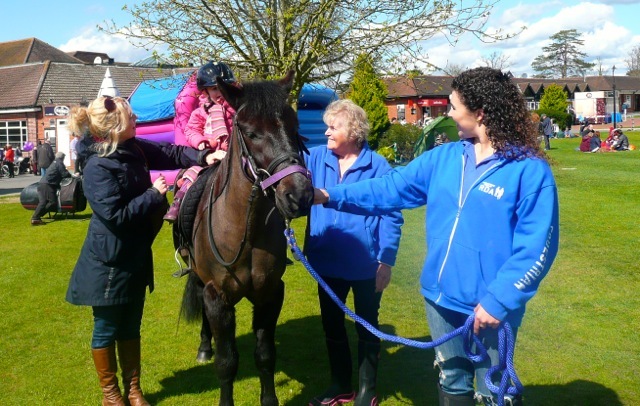 If you work for an organisation, or have your own business, and are looking for a great sponsorship opportunity, then look no further than adopting Godstone RDA as your charitable partner. A CHARITY golf day has surpassed all expectations, raising more than £20,000 for three different charities. The three-way golf day, organised by Reigate Heath Golf Club and sponsored by investment company Brewin Dolphin and marketing company Winterbotham Darby, proved more popular than ever imagined. 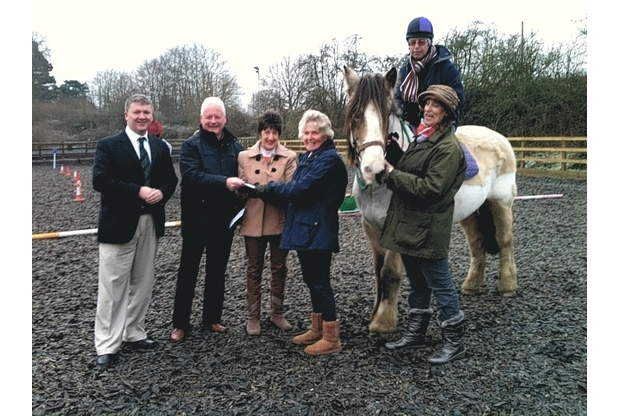 In the end, the day brought in £21,000 which has now been split between Cancer Research, the Queen Elizabeth Foundation for Disabled People (QEF) in Leatherhead, and the Godstone branch of Riding for the Disabled Association (RDA). Golf club member Bob Cooper, who organised the event, went to see each charity to present them with their donation. He said: "From the start, this process has been something of a life-changing experience for me. "Inspired by the loss of my brother to brain cancer, it was an idea that rapidly gained support at the club with some other members who formed the fundraising committee.